VMware Spinning Off Cloud Foundry And CEO Paul Maritz? VMware (NYSE: VMW) might spin off Cloud Foundry, a platform as a service (PaaS) that competes with Google Apps Engine, Microsoft Windows Azure and Red Hat OpenShift. Plus, VMware CEO Paul Maritz may leap into the Cloud Foundry CEO slot. That’s the speculation right now, with original reports flowing in from CRN and GigaOm. No doubt, VMware needs to move fast with Cloud Foundry because rivals aren’t standing still. Google recently pushed beyond Google App Engine to introduce Google Compute Engine, an IaaS platform. And Microsoft has been connecting the dots between Windows Server 2012, Hyper-V, System Center and the Windows Azure cloud platform. Microsoft’s hopes customers will mix-and-match applications across private clouds and public clouds. VMware, meanwhile, continues to grow. But there are concerns VMware’s growth could be slowing. Microsoft just last week said Windows Server and Hyper-V were gaining market share against VMware. A reality check will arrive next week ,when VMware announces quarterly results. VMware Q2 profits are expected to be about 66 cents per share, but the “whisper” number — the high-end figure analysts expect — is about 70 cents per share, according to EarningsWhispers.com. What Is VMware Cloud Foundry? The VMware operated and managed CloudFoundry.com is in beta and can be accessed for free. Users of the beta service will be notified regarding the end of beta phase and onset of commercial service. The pricing of commercial service is not being announced as of now, VMware states. The Micro Cloud Foundry is a free download at micro.cloudfoundry.com for developers interested in a single instance, personal PaaS on a local machine. 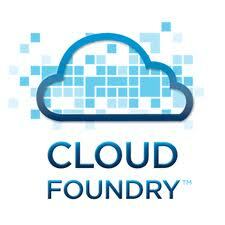 CloudFoundry.org hosts the community-driven open source Cloud Foundry project led by VMware. The developer community is able to freely download and build the open source Cloud Foundry code. Cloud Foundry’s website suggests the organization is in hiring mode. If VMware does spin off Cloud Foundry, will VMware veteran Paul Martiz be Cloud Foundry’s first CEO? Talkin’ Cloud is still checking.